Hi guys! Happy almost Friday! I’ve been having a thing with sangria recently. I think I’ve made more sangria since we moved to Texas than I’ve made in the last 5 years. I’m blaming the heat. Speaking of the heat, it’s the middle of October. Why is it still 100 degrees? I don’t like it and I need it to change immediately. There are sweaters that need to be worn. 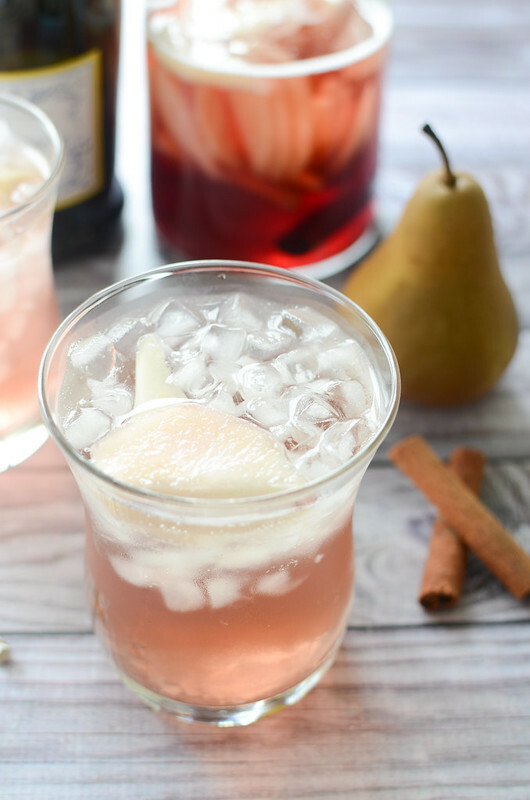 This Pear Pomegranate Sangria is definitely my favorite for fall. The pears have been so good lately and I just couldn’t resist throwing them in some wine with pomegranate juice and brandy. You could totally add in some pomegranate arils too but I just don’t dig them in sangria. If you are the kind of person that requires a drink or 4 on Thanksgiving (are there really people who don’t? ), this is it! Prep it the night before and it’ll be ready to go as soon as the crazy relatives start showing up. Make sure you follow me around the internet! 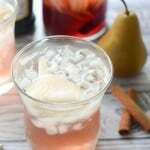 In a pitcher, stir together white wine, pomegranate juice, pear brandy, pear slices, and cinnamon stick. Refrigerate for at least 4 hours. To serve, pour sangria over ice and top with a splash of Prosecco. 3 Responses to "Pear Pomegranate Sangria"
I need more sangria in my life. And the pomegranate in it sounds awesome. 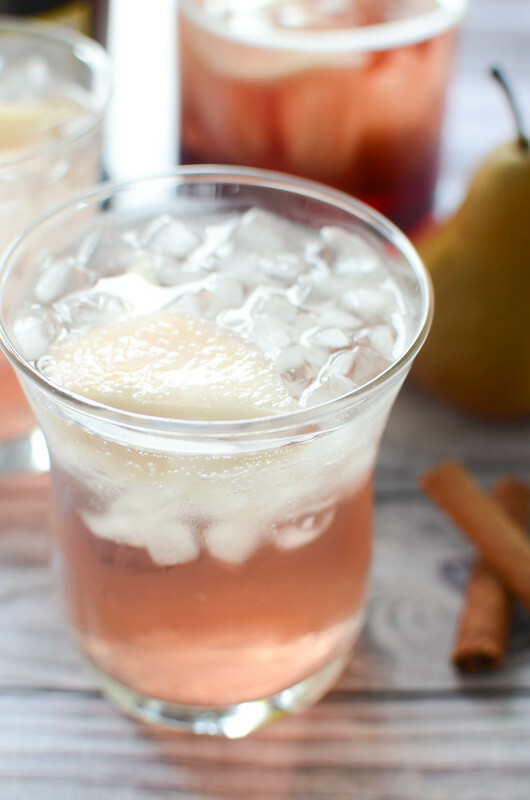 Pear and Pomegranate sound so good together! mm And pear brandy? I need some! We went swimming yesterday! Crazy. This heat lovin’ gal, though? I’m over it. I have some super cute new Fall outfits that need to be broken in. And I’m also thirsty.